There are a million websites, bloggers, and beauty experts out there that all have their own way when it comes to transitioning from traditional skincare to “clean” skincare. A lot of times that includes throwing out a bunch of products out and starting new on the spot… but to be honest the best thing to do is transition as you go. Buying a ton of product all at once can be costly, and if you have the budget for it great, if you don’t no worries we’re all getting there. Here are 5 affordable of products to transition to, I do not list entire product lines, this is because I do not believe you have to have an entire from one particular manufacturer, there are some exceptions — I do have two products in this listing that are from the same line. However, I have found it in my experience that it doesn’t always work… one thing can be too harsh and really just not work with your skin…. (i’m looking at you BC.) With any product that you try make sure to give it a few weeks, sometimes you’ll immediately know if a product isn’t for you. So this product is probably the best face wash I’ve ever used. 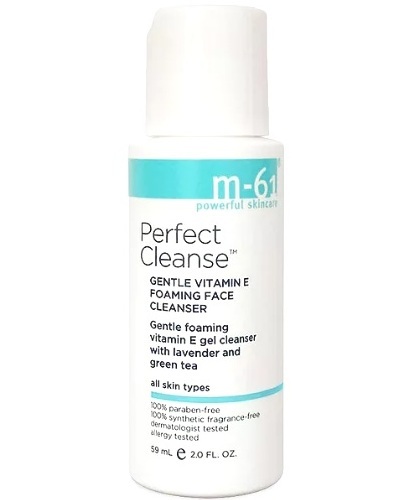 It’s relatively the cleanest I’ve found, it’s fantastic for very sensitive skin. After using more “natural” products I found this in the midst of a terrible skin reaction to oils. My skin is always clean and clear after I use it. This face wash compliments my beauty routine perfectly. Start with a small bottle of things if you can, it’ll give you a good idea if the product is going to work for you. I was never big into exfoliating, it was always too harsh for my skin. I tried everything from traditional “clean/high end” toners to natural witch hazel… just wasn’t for my skin. When Moon Juice came out with their natural line last year I said why not and order both items from the line. This is the only complimentary skincare duo I currently use. All I have to say with this product is that the hype is real, it leaves your skin brighter, tighter, and glowing. The ingredients are super clean, it is also modeled after a luxury high-end potion, but best of all, it encourages natural healthy skin at super affordable price. Part two of the dream duo, this plumping jelly does exactly what it says it’s going to do. With just the tiniest pump you’ll see your skin hydrate, smooth, become supple, and stay dewy all day long. In the summertime this is the only thing that I need to keep my face hydrated, in the fall and winter I do layer with either Josh Rosebrook Tinted Moisturizer or the Rosebook Vital Balm on those really harsh winter days. I truly believe that Dr. Bronners Pure Castile Oil Soaps are the best body washes out there. They are soooo clean and perfect for anyone. I love how clean my skin feels after I use them, but also how they don’t dry me out. I’m particularly partial to the Lavender scented on. All of their products are also produced in environmentally friendly and ethical ways, what’s not to love? Finding a clean deodorant that actually works is like the finding the Book of Life in A Discovery of Witches… it ain’t easy. Also, to be 100% transparent, I still alternate between a “traditional” stick and this spray. I of course try to go as many days without using the regular stuff, but sometimes ya girl is a sweat monster.